Dr. DeProspero is a Rome Investigator of the Paranormal! Dr. David DeProspero work in the fields of Computing, Engineering, Imaging, Paranormal Investigations and Talk Show Hosting! It was a winter day when I was in the local stamp and coin shop mulling through a box of old envelopes for sale when one immediately caught my eye because I recognized the stamp as being from the Civil War. The price was inexpensive, but when I turned the cover over something was written on the back, “George W. Strong died from typhoid fever, had good care while here. C.S. Miner, Ward Master, US General Hospital, Hampton, Virginia.” It was addressed to a local soldier and at one point contained a letter from his parents. All I could think of was the parents receiving that back in the mail and the sentiments it must have caused. I wanted to know everything in the world about George W. Strong, but 20+ years later I still know nothing of him. That was the day I became a Civil War historian, a deep passion I hold to this day. I gave my first lecture on the Civil War when I was 19, I still do them to this date. I have been researching and writing a book on George Strong’s regiment which I finally hope to have completed this year. I started to write it in high school, but decided to wait 10 years in hopes new information and technology would help, and now is the time they finally get the memorial they deserve. Here is the dark side of my life now. The family house was purchased in 1927. It sat directly across from an old Catholic Church. In an early stage of the house’s history it was a boarding house and mom and pop shop. During the 1918 flu epidemic the house was used to store bodies in the basement, wakes were held in the shop and then carried across the street to the church for a funeral. On top of this our house sat about 200 feet away from the now reconstructed Fort Stanwix. The only Revolutionary Fort never to surrender and during a 21 day siege the first American Flag was raised in battle on August 3, 1777. (That is why we are the City of American History, and the start of the Erie Canal, and Francis Bellamy the author of the Pledge of Allegiance…) Our backyard would have been the site of the Indian encampment during the battle. I was seven years old when I awoke to see a human head floating in my bedroom. It was the sternest face I’d ever seen with white hair in a ponytail and I could make out portions of what looked like a green uniform. It just marched through my room. The house was very “active” over the years, always seeing shadows moving about and creepy feelings. But in the 1980s no one was ever allowed to speak of these things, unless one wanted to be considered crazy. A secret I kept for many years. But this did lead me on another quest to study the Rite of Exorcism and by default the Catholic Church and then the Knights Templar. Are you sensing a pattern here? At a Christmas dinner in 2001 talk at the dinner table turned to the paranormal. My cousin David, a few years my lesser, made some comments about things he experienced in the family house. They mirrored the stuff I had experienced. Then our parents finally came clean about the happenings inside that house. We realized we were the victims of paranormal activity. We formed the Rome Investigators of the Paranormal that night. We have traveled the northeast helping others who are also victims of the paranormal. We have grown that organization to 17 members. We host a bi-weekly for an additional hour on the BBS Radio Network. We have co-authored several books together including our biography entitled, “if the walls start to bleed…” Our group also actively participates in helping libraries, historical societies and museums with fundraising events. Of which all of the proceeds go to them. Dr. David and I are now hitting the lecture circuit and speak at colleges around the country known as the Paranormal Cousins. (Casting Agents) So you have a very perplexing candidate in front of you for your casting call who knows a wide range of information and useless factoids on many different levels. Many people use a BS title called “Para-Storians.” The fact is, I am a real historian and a seasoned paranormal investigator. Let me just throw a few final words in. I know what reality TV is all about. I was on an episode of the SyFy Channel’s Haunted Collector as the local historian. They liked my part so much the director called me back for additional filming. I have been a volunteer at a major Horror and Sci-Fi Convention, during one I was sitting with a cult movie actress to assist her and more people started to ask me for my autograph and pictures, and she was the star. I even tried my hand at stand-up comedy years ago. I can be ANYTHING at ANY TIME. I know how to win the crowd. I assume if you made it this far, you read something you liked. Below is a list of bragging stuff I guess… I am represented by GP College Entertainment. - 2013 - Season 2 - Episode 2, the Haunted Inn on SyFy Channel's Haunted Collector. Appearance as the local historian. Recalled and filmed for antiques expert as well. Also tasked with researching the site and others for the producer. The star of the show John Zaffis referred to me as "a walking encyclopedia of knowledge." 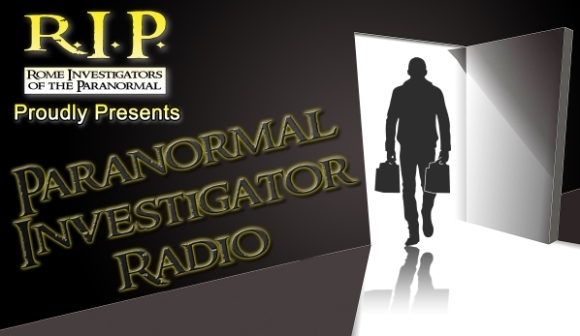 Richard Nikodem is an Entertainment Agent by Day, Parnormal Investigator by Night, and a Talk Show Host of Paranormal Investigator Radio! All of our cases are handled with the utmost professionalism and discretion, with the aim to offer assistance and support to those affected by paranormal activity. 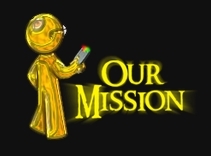 The mission of the Rome Investigators on the Paranormal is twofold. First, we aim to help individuals who feel like they are at the mercy of paranormal activity occurring in their location. We hope to dispell myths, fear, and prejudice for these individuals through rational thinking and scientific intervention. Second, we aim to evolutionize the field of paranormal research though the use of state-of-the-art equipment, technological innovation, and scholarly research techniques. Our philosophy is simple - to treat each case with the utmost respect and professionalism. Your location, whether it is a house, office, or other site, is special to you, and it is special to us as well. It is our aim to conduct our investigations gently and discretely, while providing the most thorough examination within our powers. By nature of the field that we are investigating, there are no concrete certainties. As such, none of your claims will be lightly dismissed - however, we will always start out by assuming a rational explanation until proven otherwise. If, indeed, spirits may be present, it must be remembered that at one point they likely had corporal bodies just as we do. Simply because the body is gone does not change the fact that they were once physical people, and deserve the same level of respect that you and I do. Documented evidence is the goal of R.I.P. Although we may personally experience phenomenon, those personal experiences cannot justify a categorization of "haunted" or "not haunted" based on undocumented activity. However, those personal experiences can factor in if they are backed up by the claims of the client, as well as recorded paranormal evidence. The paranormal is a field that is often questioned, criticized, and feared. It is feared because people don't understand it, and it is questioned and criticized because people try to understand it (with many different levels of authority, credibility, apparent under- standing, etc.). This is no different than what is experienced in any nascent scientific field, such as quantum physics for example. However, people don't generally fear other scientific fields because they don't have a personal connection or interaction with them on a conscious level, as people often do with the paranormal. Walking in to a room and seeing a strange person standing there for a fraction of a second and then disappearing can be disconcerting for anyone, but the underlying questions must be asked, was it real? Was it imaginary? Why was it there? How did it get there? Where did it come from or go to? Were any odd or fluctuating physical or recordable effects present at the time? Was it interactive or was it doing its own thing? Despite all these questions, it seems clear that something lies beyond this world, or beyond what we're aware of. Is this an actual transitional destination that the spirit or soul moves to, or is it just a natural environmental energetic phenomenon? Is this a religious phenomenon? Is it a physical or metaphysical phenomenon? Any way you look at it, there is apparently a fine line between what happens in our level of existence, and what happens beyond it. This line, at times, becomes very fuzzy, and strange things are sometimes seen, heard, felt, smelled, etc. People don't necessarily have to be "believers" or "non-believers" to see that paranormal activity exists in this world. People must simply admit that there are things in this world which are beyond our current level of knowledge and comprehension. This is a simple fact. People want to feel in control of their surroundings, and when something paranormal happens, that sense of control is destroyed. They find comfort in not acknowledging that anything else could possibly exist in this world. However, this doesn't need to be something that is feared. Rather, it can simply be an opportunity for learning and understanding. This simple process can often help to restore that sense of control. That is why we exist. We are here to help those in need, whether in this world or the next. We don't claim to know everything, but collectively we pool our knowledge, experiences, talents, and we keep an open mind to what is going on around us. If you have any questions or comments, please don't hesitate to contact us!! We look forward to hearing from you. "The mission of the Rome Investigators on the Paranormal is twofold. First, we aim to help individuals who feel like they are at the mercy of paranormal activity occurring in their location. We hope to dispel myths, fear, and prejudice for these individuals through rational thinking and scientific intervention. Second, we aim to evolutionize the field of paranormal research though the use of state-of-the-art equipment, technological innovation, and scholarly research techniques.